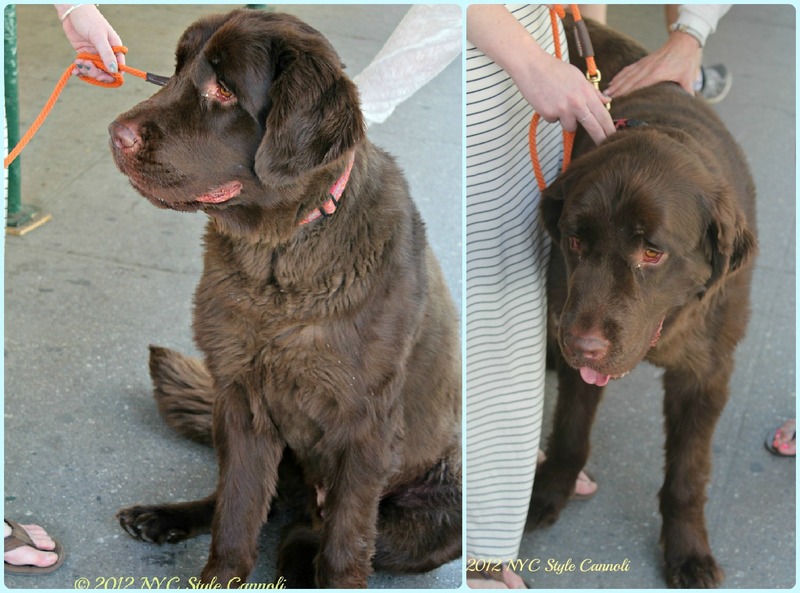 Photo Gallery Thursday " A Chocolate Doggie"
How adorable is this dog? Chocolate brown, very big and oh so friendly. We met him and his owner while walking in the West Village. I have never owned a dog, we had a cat when I was little, so not all that easy around them. New York City has so many dogs, of every breed, and they are some of the best behaved I have ever witnessed. As long as they seem well behaved, I am eager to give them a pat on the head! Does anyone know the breed of this dog? NYC is a walking city and having a dog seems pretty natural to most who have the pleasure of residing there. awwwwww so sweet! the best chocolate ever! Thanx He was a sweetie! !